About 8 days ago, a mysterious video was uploaded by Motorola's Brazil account, on YouTube. And now we finally have a name for an unknown device featured in it. Meet the Moto E4. You need to be really quick to pause the video to see the phone, as the video runs really fast transitioning from one device to the other. And you can see the Moto E4 within the first few seconds when the video plays.Evan Blass tweeted out today, that the phone pictured above, is the Moto E4. Now there is a new confusion here. Yesterday, we reported about an upcoming Moto phone called the Moto E4 Plus. So it appears that there are two variants of the E4? Actually, it is not that surprising. The Moto E3 did have another variant called the Moto E3 Power. Now the E4 Plus could be the E4 Power, and the change is probably to unify the naming scheme to match the other devices in the company's portfolio. That is, the Moto G5, and the G5 Plus. 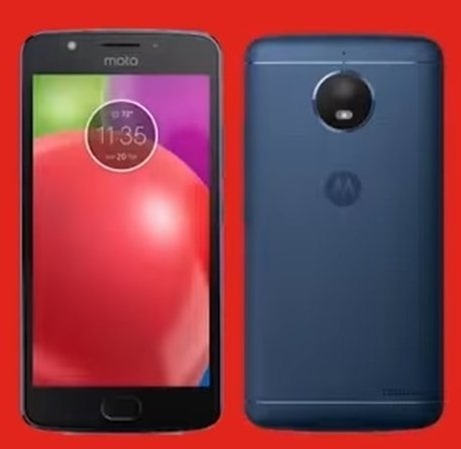 Why not, I mean the design is similar on both the E4 and the G5, both have similar looking back panels and rear cameras, and the Moto E4 does seem to have a home button. Whether or not that will have a fingerprint reader on it remains to be seen. Quick thought about the Moto E4. It does have large bezels, and an even bigger chin. The display could be one-hand usage friendly, so something 5.0 inches or below. There are no speakers on the back panel, so the earpiece seen on the front panel, could be the lone front facing speaker. And this also proves that the Moto C and the Moto E4 are not the same device. They are are as different as salt and sugar. How do we know this? Check our Moto C article, and you won't find the home button on the phone there, which the E4 clearly does.